Ar. ḥalāwa (sweetness) or halwa (sweets or candy), Heb halvah (kosher variety), Eng. 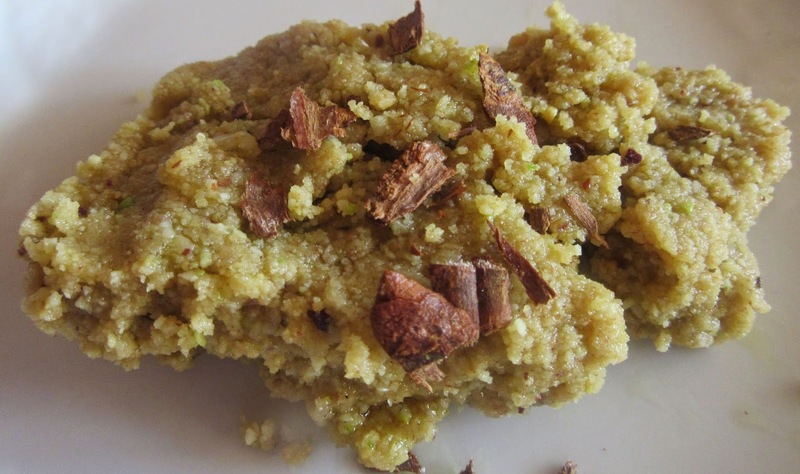 halwa, halvah, halava, helva, halawa, sweetmeats or candy. An Arab dessert adopted in medieval Iberia and countries on the trade route to the Far East. 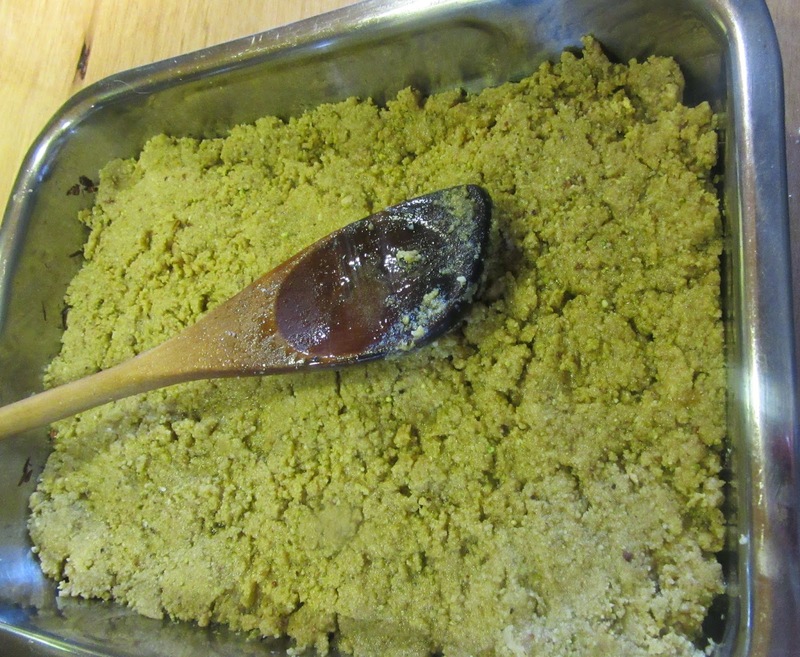 Medieval Islamic recipes provide two recipes one made with semolina and starch, having a jelly texture and another made with sesame, which is drier. Originally, it contained an almond-sugar paste, flavored with other ingredients such as rosewater, honey, julep, clove, camphor or sesame seeds or paste. There are several variations using almonds, cashews, pistachios and other nuts. Some recipes call for fat, butter, molasses and/or egg whites. It could be made into biscuits or placed in pancake batter and fried. The Jewish halvah contains sesame and sugar, which has a soft sticky consistency. It does not contain meat or diary products. Put oil and flours in a saucepan. Brown the flour. Remove from heat. 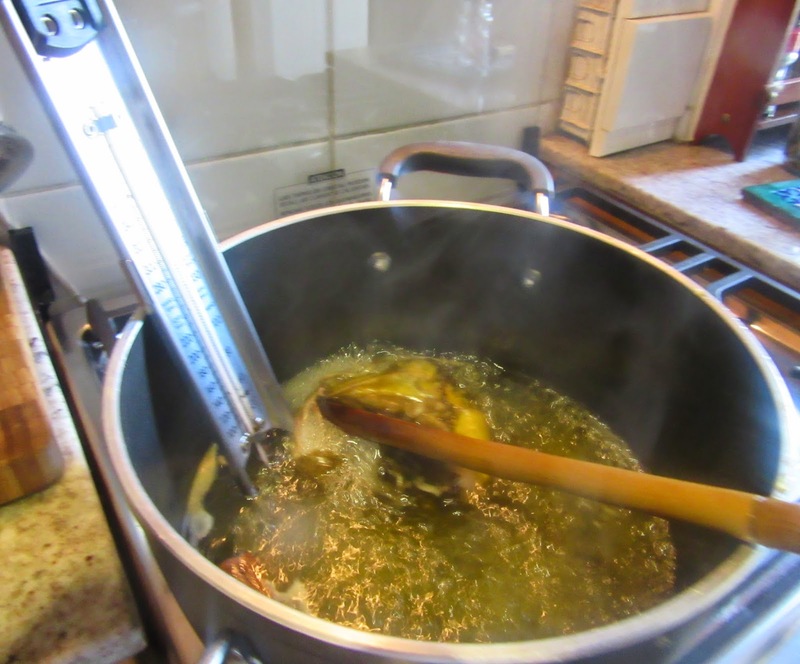 When the syrup mixture is done, remove from heat. Discard cinnamon and lemon zest. Mix with the flour mixture. Add nuts. Stir 1-2 minutes and pour into a greased brownie pan sprinkled with ground cinnamon. Pat the mixture down and let cool 2-6 hours. When ready to eat, flip the pan over. Sprinkle the candy with more ground cinnamon and serve.